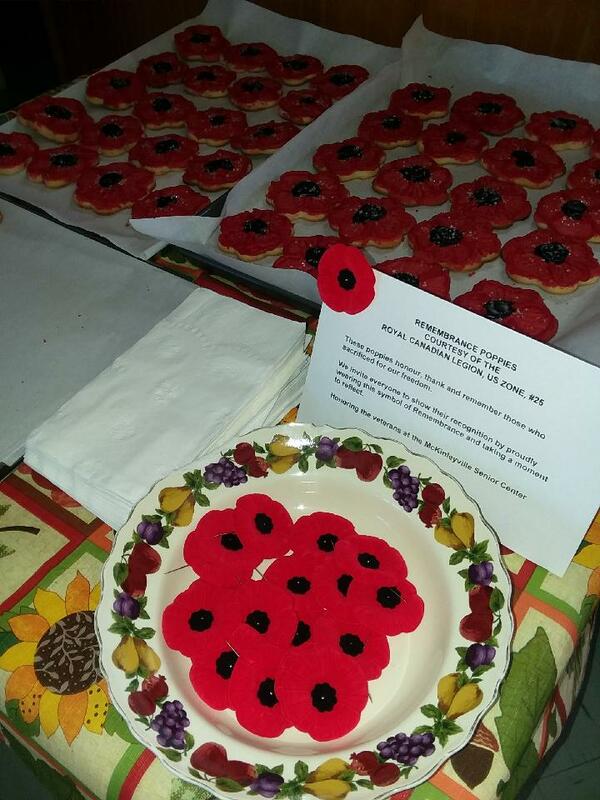 Poppies were distributed as a part of the Veteran’s Day celebration at the McKinleyville Senior Center in McKinleyville, CA this year. 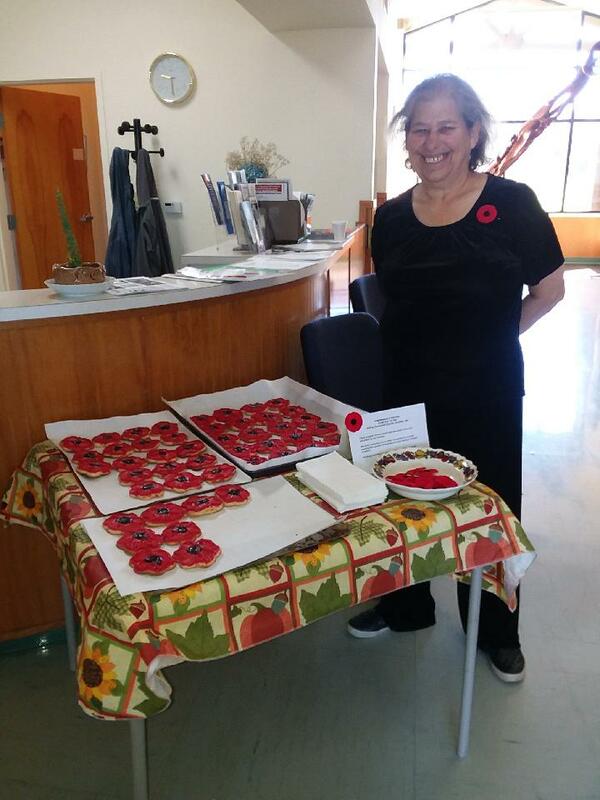 Here are some images from the lobby of the center on Veteran’s Day featuring some red poppy cookies, the front desk of the center, and Candra Day from the McKinleyville Senior Center. 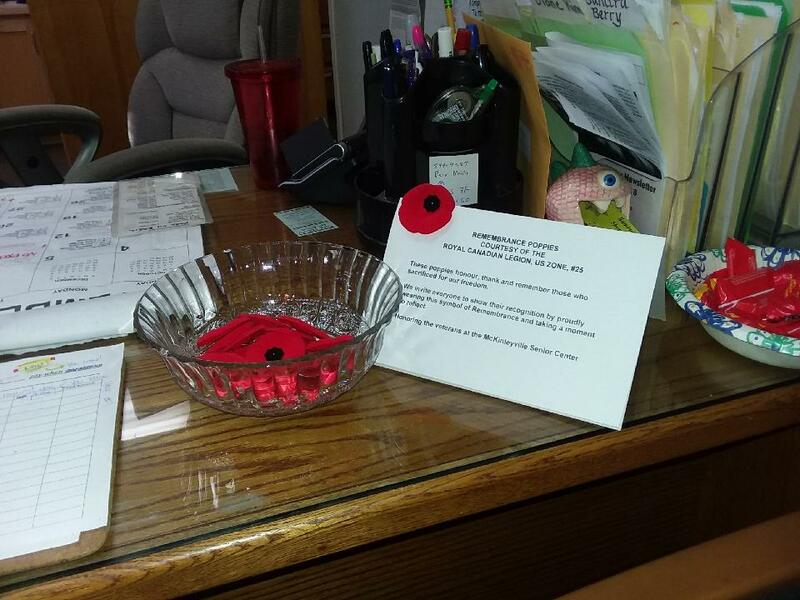 This entry was posted in Poppy Campaign and tagged Poppy Campaign on November 12, 2018 by Michael K. Barbour.